New Delhi: President of India Shri Ram Nath Kovind was paid a State Visit to Croatia from 25-28 March, Bolivia from 28-30 March and to Chile from 30 Mar – 1 April 2019. President was accompanied by a high-level delegation. The large business delegations joining in the bilateral business forums organized as part of the visit of President indicate increasing interest of Indian companies in expanding business ties with these countries. In each country, the President’s programmed includes bilateral meetings, participation in Business forums, interaction with Indian community and address at Universities. In Croatia, President of Indian, Shri Ram Nath Kovind meets with the Croatian President Kolinda Grabar-Kitarović and the Prime Minister Andrej Plenković. 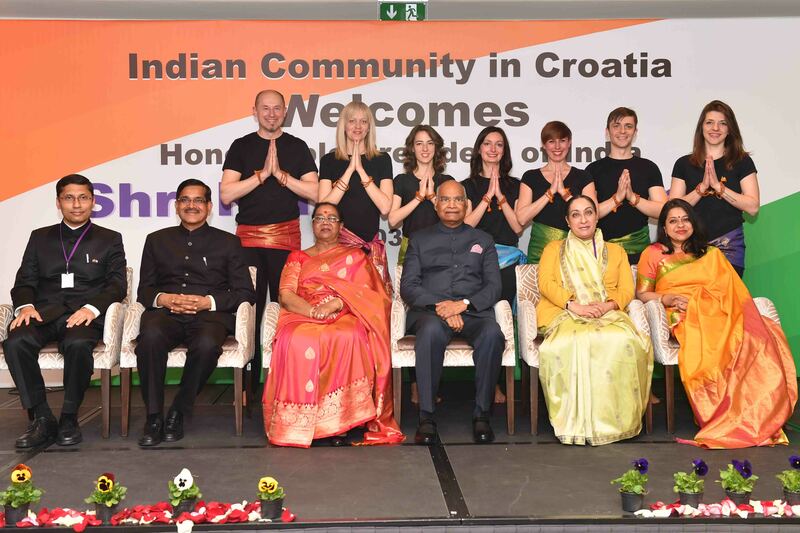 India and Croatia have close cultural links. The Indology Department at the University of Zagreb has a long history of over six decades, and an ICCR Hindi Chair was set up a decade ago. The two countries are now focused on strengthening trade and investment linkages. There are already investments by some Indian companies in areas of pharmaceuticals, information technology and renewable energy. There is good scope to enhance trade in textiles, pharmaceuticals, chemicals, leather goods, engineering goods and food processing sectors. In Bolivia President of Indian, Shri Ram Nath Kovind was interacted with President Evo Morales. India-Bolivia bilateral ties are warm and friendly, underpinned by abundant goodwill and a desire to forge closer cooperation in areas of mutual interest. Bolivia’s Lithium and our needs for eMobility and eStorage provide natural synergies. As Bolivia embarks on industrialization of its resources, India is a willing partner for know-how, technology and skills. In the Financial Year 2017-18, the bilateral trade grew by 205% to reach US$ 772 million. In Chile President of Indian, Shri Ram Nath Kovind meets with President Sebastián Piñera. The visit to Chile is taking place in a year when we celebrate 70th year of establishment of India-Chile diplomatic relations. Chile has a wealth of natural resources including copper and forests, control over a large part of Antarctica and a long maritime boundary. India has a Preferential Trade Agreement with Chile that was expanded in the year 2017. Chile is the sixth largest trading partner of India in LAC region. India imports $2092 mn and exports $764 mn. President’s State Visits to the three countries would reinvigorate bilateral ties and provide new direction to multi-faceted development of our bilateral relations.